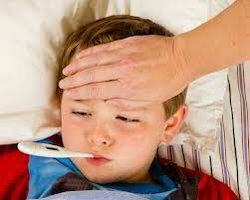 Fever refers to a condition of the body in which the temperature goes beyond the normal .It is also characterized by disturbance in the normal functioning of the systems. It is a common ailment, which occurs both in children and adults. Welcome to Santhosh Herbal Health Center. True spirits and essence of classical ayurveda for the challenges of modern world problems like stress,obesity and low immunity. Proven relaxation procedures,fitness programs, authentic rejuvenation and curative programs with precise hygiene standards in a fascinating ambiance.Rated as best in class for pure ayurveda treatments and formulations with top accreditation. All medicines utilized at santhosh herbal health center are prepared by strictly adhering to authentic ancient ayurvedic formulae. The therapies are performed by a respected, professional group of well-experienced Therapists and companies. The areas of medical specialisation include Internal Medicine, Arthritis and Spine disorder, and Rejuvenation – to restore optimal health and well-being. Santhosh herbal health center is doubly blessed. It is an institution with a wealth of knowledge acquired through tradition while its doctors are trained in modern medical colleges and hospitals.